Check it out!!! Trey Parker and Adrien Beard (the voice of Token) play Blood & Plunder! Trey sent this picture to my contact at Firelock Games, and it looks like they love it! Why aren’t you playing? 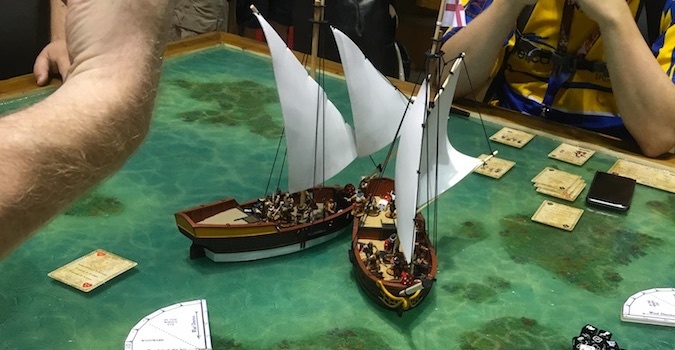 Blood & Plunder is a historical miniatures game concentrating on the Caribbean during the age of piracy (17th century). This is a time in history rich with possibilities. 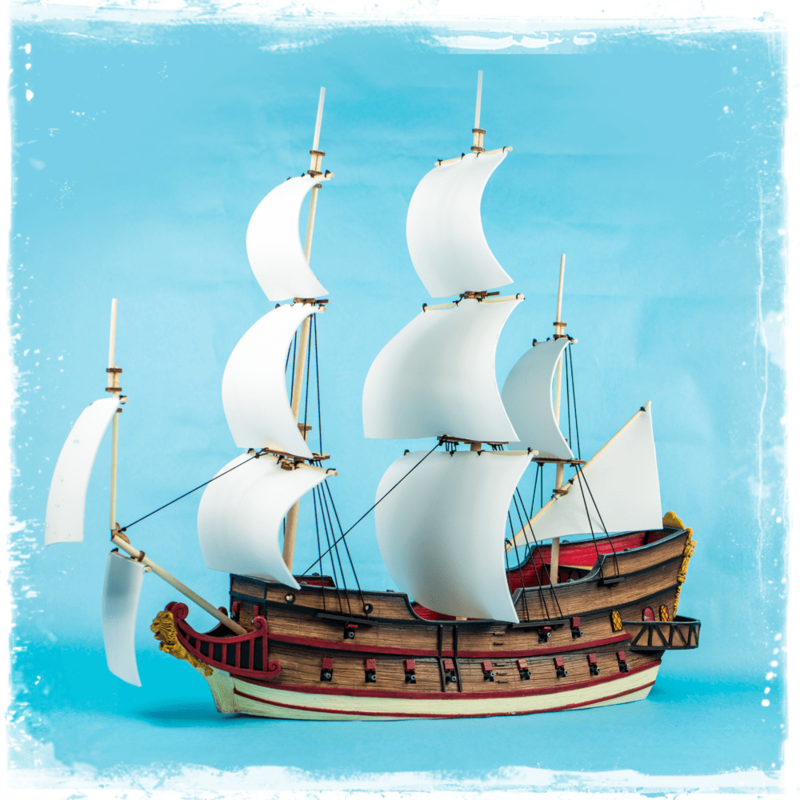 On top of touching on the history of an area many of us have visited, the game also features beautiful tall ships in 32mm scale. The rules are lots of fun, but what I like best is the look of the game and the tall ships. All images in this post are used with permission from Firelock Games. This is the largest ship in Blood & Plunder – the Galleon. 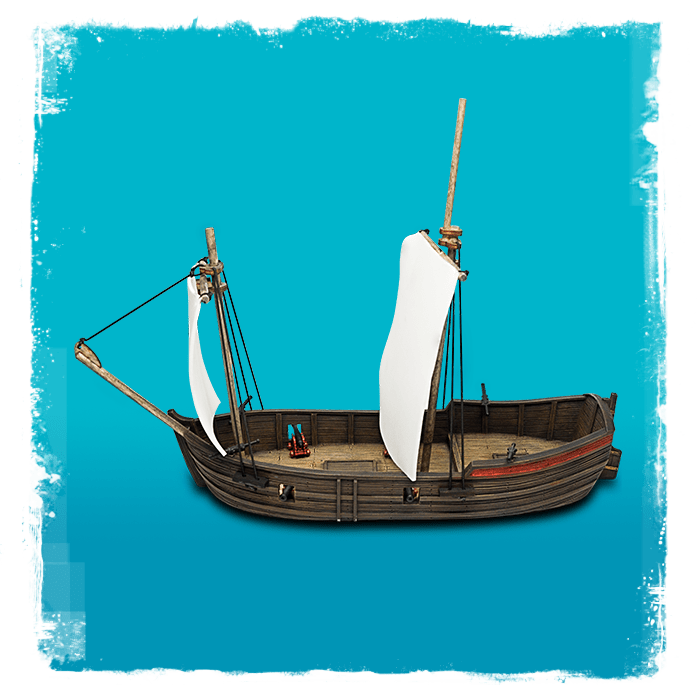 It is on my wish list, but I own a lot of the smaller ships instead. To me, the tall ships are a big draw to the game, but you can play this game on land, sea or a combination of the two. The game started with four nations (English, French, Spanish and Unaligned) and they added many more (Dutch, minor nations, privateers and Native Americans) through their latest expansion. Within those nations, you can choose what sort of sub-faction to take (generally forms of Privateers or Militias). That choice will dictate which units (and in which ratios) you can take for your force and also determines your special abilities and bonuses. You can learn more about the game on Must Contain Minis. 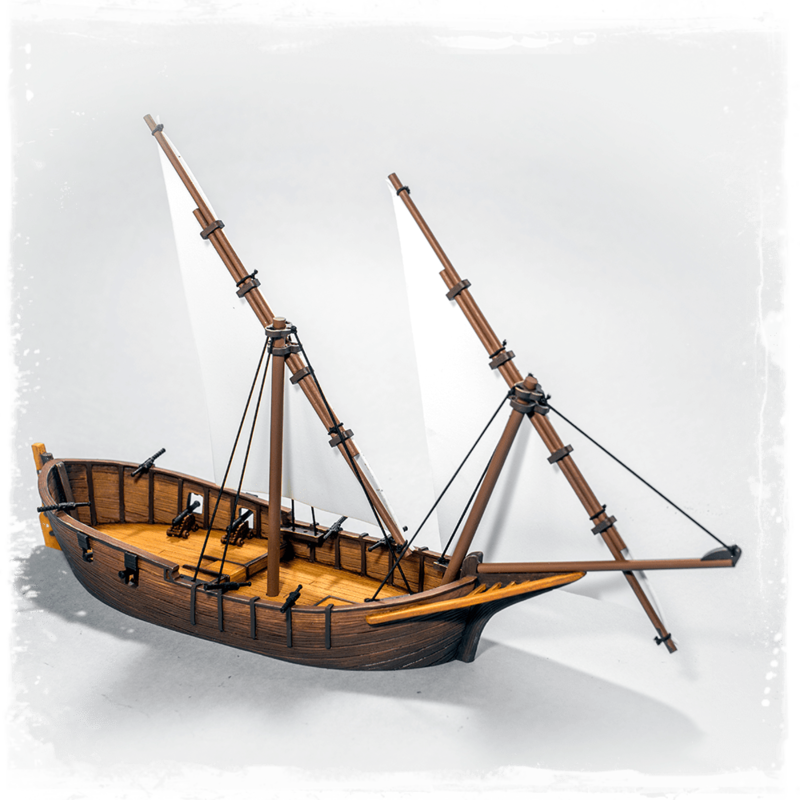 The Bark is one of the newer ships to Blood & Plunder, and it happens to be a small one. I would like one of these for my Spanish force to use as a Militia ship for coastal patrols. This cool looking ship is the Tartana. It is the newest ship by Firelock Games. Hopefully you enjoyed this quick post. I just thought it was so cool when I saw the guys from South Park playing Blood & Plunder that I had to share it. 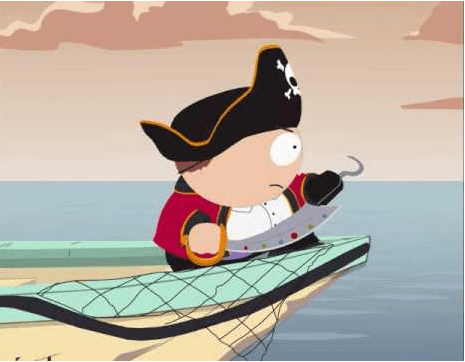 Now, let’s go a plundering!!! 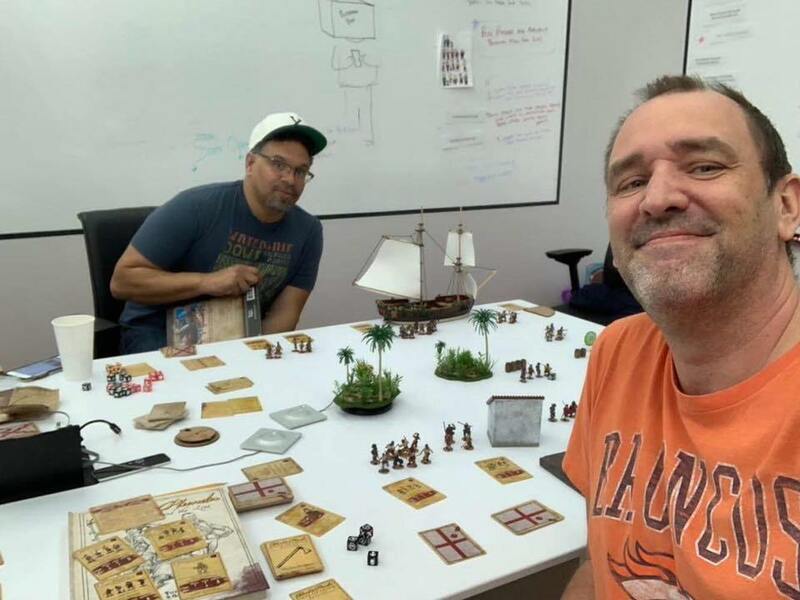 That is Trey Parker (creator of South Park and The Book of Mormon) in orange and Adrien Beard (the voice of Token) playing Blood & Plunder! Trey sent this picture to my contact at Firelock Games and apparently they love it!!! How cool is that! ?